WooLee Ann Production Spinner. 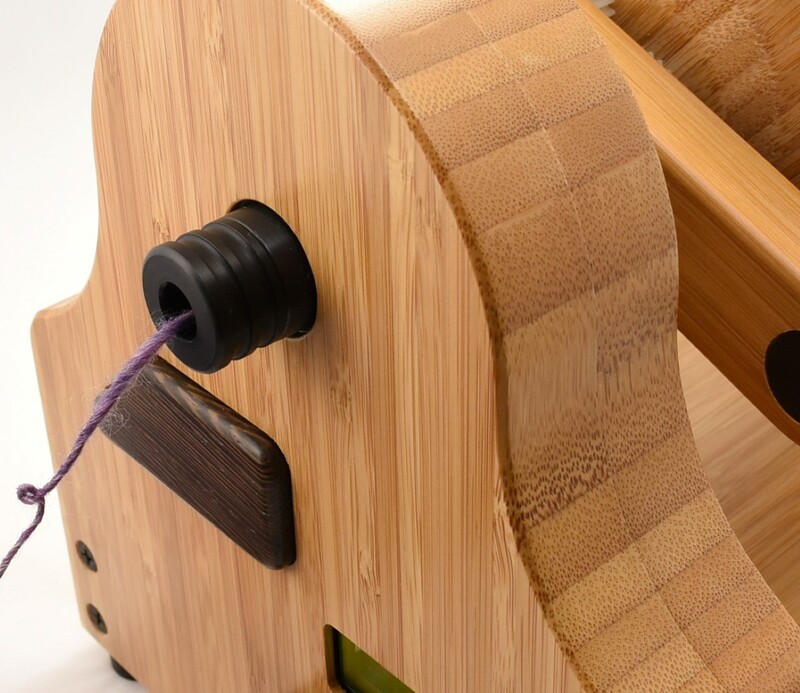 Comes with a WooLee Winder flyer and 3 bobbins, orifice reducer, AC power cord. 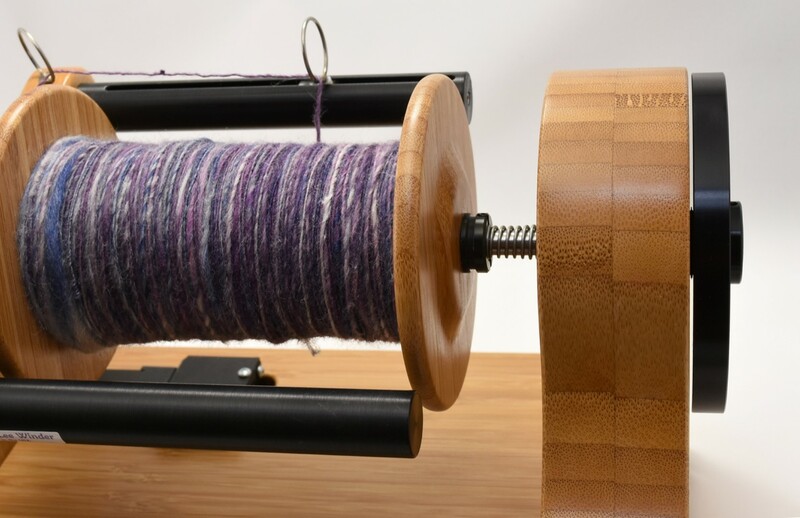 I've been a fan of the woolee winder since I started spinning years ago. I've wanted an e-spinner for years and I am so glad that I did not get one before Nathan came out with this magnificent machine. I've had my winder since mid November. 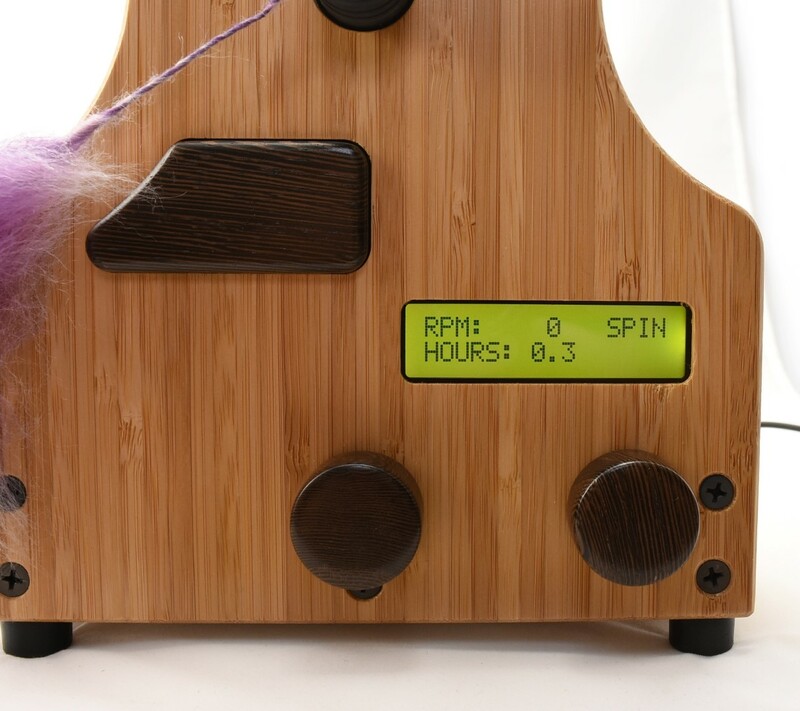 I've spun almost 30 hours on the WooLee Ann and it is such a fantastic device. It's whisper quiet so you can talk, watch TV, etc. while spinning. The no drive band or break band to worry about is ingenious. 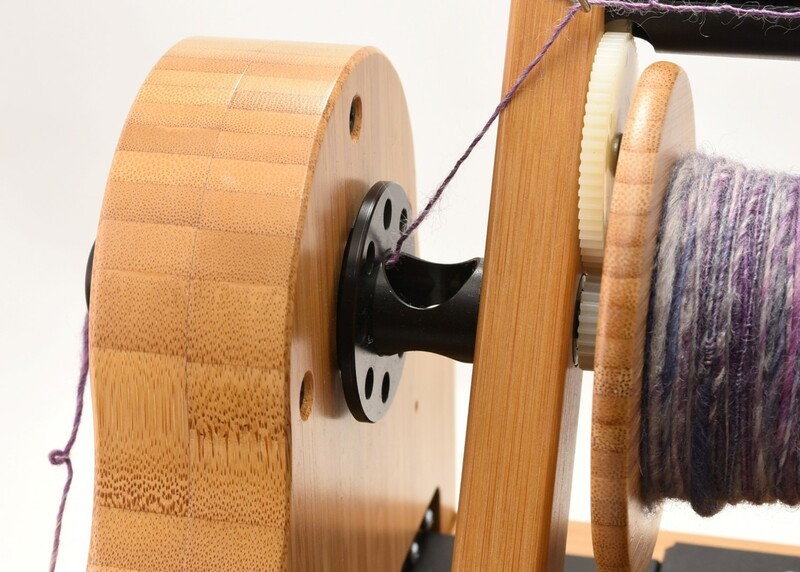 Everything has been thought out and it's just a joy to spin on and has it's own woolee winder. What more can anyone ask for? I highly recommend this device. IMHO there isn't a better one on the market. I purchased my WooLee Ann e-spinner in Oct. 2016. Since that time I have enjoyed over 60 hours of immense spinning pleasure! I have been able to do any technique that I could do with my standard wheel, but with much more ease and less without physical strain. This excellent spinner has allowed me to continue spinning in spite of my increasing physical limitations. It never slows, boggs down, and it meets and exceeds any spinning challenge that I give it! I just completed spinning and then plying 2,300+ yards of cobweb lace yarn with incredible ease! 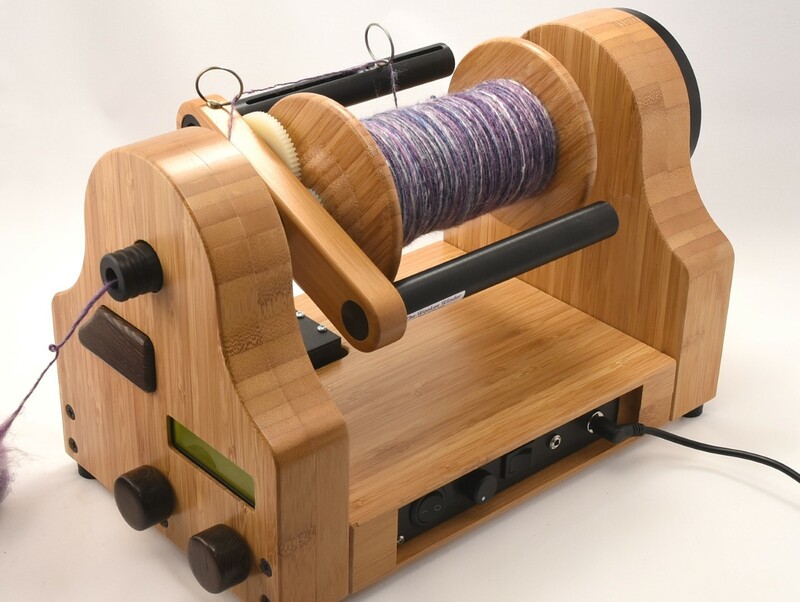 Anyone that says lace cannot be spun using a WooLee Winder is completely misinformed. ;) This is a wonder of an electric spinner that exceeds its competition exponentially! Thank you WooLee Winder Company for this outstanding wheel and allowing me to keep spinning! If there were 10 stars to give, I surely would! I bought my Ann wheel about a month ago. I have had some success with using another e-spinner but the Ann caught my eye after spinning on it last year at Black Sheep. Smooth and quiet. My only problem was my need to reduce the number of wheels I own in order to justify why I needed another e-spinner. Finally I had enough money so I quickly asked Nathan if he had one available for me. I was pleased to pick it up a couple of days later. So pretty with its bamboo finish and cool buttons. I am not a production spinner so I was looking for a wheel I would just enjoy. With every new wheel there is a break in period. I find I am working on getting my hand speed to agree with the take up of the wheel. The faster you spin the greater the take up. I can really get this baby going. I am now working on bobbin 3. I picked up two more bobbins at black sheep. I haven't really plied on it yet. I expect that to be fun as well. This so a lovely wheel. Well worth the price. Nathan has built a great design. And yes the pop out bobbin is really cool in case you want to know.